All in: Does it make sense to spend all of your marketing dollars in one medium? There is a marketing trend that is sweeping over business today. With the advent of online marketing, we are seeing more and more companies that are spending their entire marketing budget on online media and forgetting about every other medium. Is this a new turn on the way marketing is done or is this an unfortunate step into a one-dimensional marketing trap? Traditionally, marketing dollars were spread across several different mediums. The thinking behind this was by dividing your marketing dollars, you conquer your entire target market. Not everyone is going to see your ads in one particular medium, so you purchased several mediums to push your product. By choosing a variety of mediums, you had a better chance of reaching your total market. For instance, you might allocate so much to outdoor signage, so much to print advertising, so much to your web site and so much to trade shows, etc. 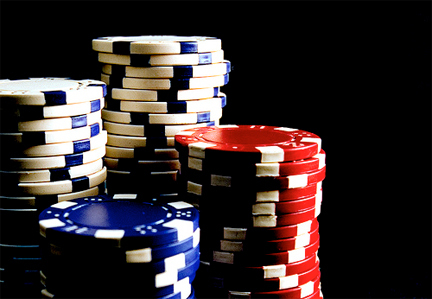 It was considered very risky and foolish to play all of your chips with one marketing medium. But internet marketing has changed the thinking of many people spending the marketing budget. Traditional marketing had risks based on assumptions. For instance, you were never really sure if the billboard advertising you purchased was really working until someone came into your place of business and said, "I saw your billboard,” and then made a purchase. Internet marketing has changed that. Now you can know who is looking at your online ads. In fact, new media marketing has gotten pretty sophisticated in defining market segments within a specific demographic. Now I can target a very specific group of people or I can figure out who has searched for products and services similar to mine and advertise to them. There is no assumption when a cookie has been dropped on a potential customer because they searched for your particular product. This is not like the person driving past your billboard. These are people who have shown interest in what you are selling. That is a huge difference. This difference is enough to convince some people in marketing circles that we have eliminated the great unknown that caused us to diversify our marketing dollars in the first place. We were just hedging our bets. The new media has eliminated the guessing game, so why play with mediums that are acting upon assumptions. It is a good argument, but there is one big hole in it. That is the market is always fickle. To be sure, there has been a shift to the way people shop and the internet is king. But there still are a large segment of our population (and I would say they exist in every demographic) that prefer some form of traditional shopping and will not see your online marketing. We are living in the seam of the old and the new. Is it heading towards the new? Absolutely. You must invest in some form of online marketing to do business in this day. However, I would ask a few questions before I would agree to put it all into the new media. · Who are my customers and how do they prefer to be marketed to? · Who is in my target market that is yet to become my customer? Are these prospects going to be positively or negatively impacted if I were to market my company only on an online medium? · What can I do to get my message in front of potential customers without driving away my current customers? Marketing dollars are tight in every budget. You need to be wise as you spend them to get the most punch for your efforts. Before you go all in with one medium, make sure you are getting the return you desire without leaving current customers out of your plans.